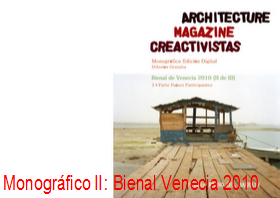 The nonprofit organization OSA Venice 2012 ™ invites all interested in participating in an international exhibition to coincide with the Biennale of Architecture in the city. 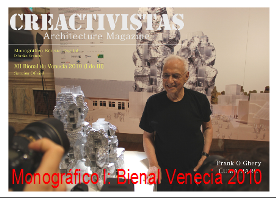 La organización sin animo de lucro OSA Venecia 2012™ convoca a todos los interesados en participar en una Exposición Internacional coincidiendo con la Bienal de Arquitectura en dicha ciudad . L'organizzazione no-profit OSA Venezia 2012 ™ invita tutti interessati a partecipare ad una mostra internazionale in concomitanza con la Biennale di Architettura della città. b.- Theories, applied science innovation or transdisciplinary manner. c.- Video or any other format or interactive multimedia. d.- Work-shops or any kind of event that can serve to complement the exhibition. e.- Concluding Meeting of work to serve as a legacy to the city of Venice, for that purpose will establish the foundations of argument through the Scientific Committee on the same date to be communicated to participants upon acceptance.